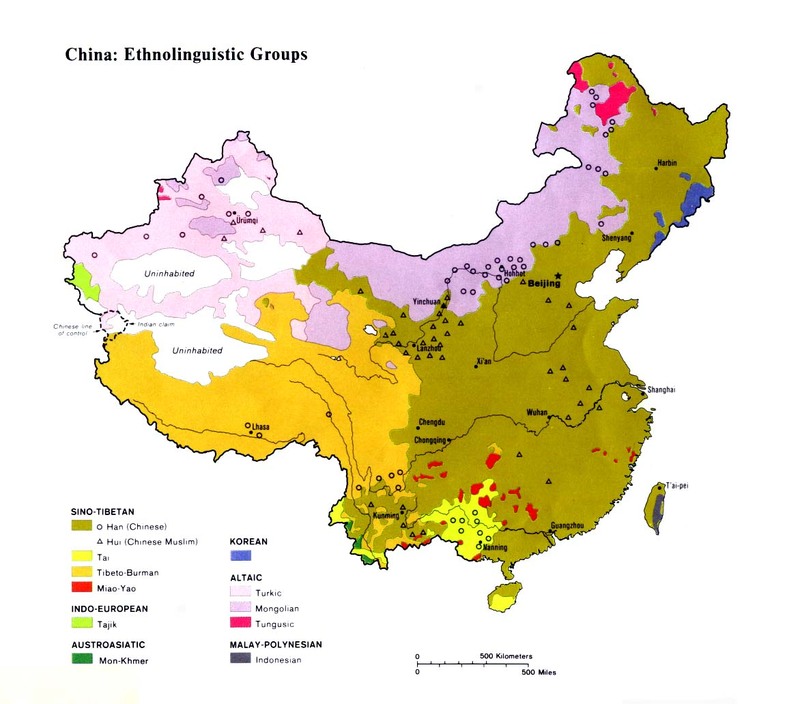 The Lama are one of several distinct language groups combined to form the official Nu nationality in China. In 1896 the explorer Henri d'Orleans said the wild Lisu constantly raided the Lama and took them as slaves. Today, Lama villages in Bijiang retain vestiges of a patriarchal clan system. Ten clans were located in ten different villages where each had communal land. According to a 1953 survey, "a landlord economy had emerged in Bijiang County, with an increasing number of land sales, mortgages, and leases. In some places, rich peasants exploited their poorer neighbors by a system called washua, under which peasants labored in semi-serf conditions. Slavery was practiced in a fraudulent form of son adoption. More than 1,000 Lama are located within a thin strip of land along the China-Myanmar border, primarily in and around the town of Bijiang in Yunnan Province. A 1977 figure placed a total of 3,000 Lama in both China and Myanmar. Their villages are constructed on steep 75 degree slopes. Yesterday's dangerous cane bridges across the turbulent river have given way to today's chain and rope bridges. The region is extremely mountainous, with the highest peaks rising more than 3,000 meters (9,840 ft.) above sea level. "Dense virgin forests of pines and firs cover the mountain slopes and are the habitat of tigers, leopards, bears, deer, giant hawks and pheasants. The Lama have a custom of naming a man three times during his lifetime. The first time occurs just after birth. A male elder, usually a grandfather, gives the baby a name which will be used all his life. At the age of 14 or 15 he is given another name which can only be used among his friends and people of his own generation. When a man gets married, he is named a third time. His name is connected to his father's by prefixing his name with the last sound of his father's name. In the past, clan leaders among the Lama also doubled as the village shamans. Their main job was to practice divination to ensure a bountiful harvest. Today there are believed to be a small number of Catholic believers among the Lama in China. The first Catholic missionaries in the Lama region were sent out by the Paris Foreign Missionary Society in the late 1800s. Father Jen Anshou established a work at Bai Halo. Most Catholic churches in China are not plagued by the idolatry that is often a feature of Catholicism in other countries. A Protestant mission book in the 1920s went as far as to state: "Go where you will in China, enter their churches when you will, and you will almost invariably find someone at prayer. Or again, if you are passing a little country church at the hour of its daily mass, you will find on any week day a goodly few from the village gathered there for worship. Scripture Prayers for the Lama in China.